To feel different from others in the negative way is the worst thing that anyone would like to experience. Addiction gambling is generated in the mind of each gambler, that's why it's hard to detect, hard to cure and even harder to confess. That's why different national gambling councils and organizations try to do the best in order to help both the gambler and his/her family, which is very suffering. To be in the group of the same gamblers, as you are, to listen to the same problems and remorse, that you have, is the best way to addiction identification and right treatment. 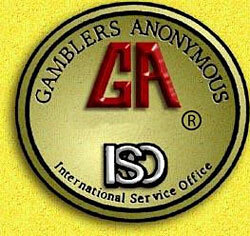 If you want to be one of the members of this fellowship, you have to confess, that you are a problem gambler and need help and have a real desire to be treated as well. It's neither a sect, nor some political organization or institution; you don't have to pay for it or to provide some special dues to become a member. This membership is self-supported by own contributions. Primary purpose: to help the compulsive gamblers to stop gambling. This is the main wish that every family dreams of, when happens to be living with one of the addicted gamblers. Here, you won't find any scornful behavior. Do you know what the most compulsive gamblers dream about? They dream about the opportunity to gamble in a normal way some day. Without erasing this habit completely from their lives, but just to be in power to control gambling process. The spiritual principles and emotive therapy are the basis if this program. Before starting, you just have to be sure, that it'll work. And it'll happen indeed. Try to carry the above-described message to other compulsive gamblers, if you've succeeded. Try to do at least something to stop development of negative emotions in your mind, if you have encountered the compulsive gambling problems. The cured gamblers will help you for sure to overcome this illness.